Important News and District Updates. Love the Lord your God with all your heart, soul, and mind. 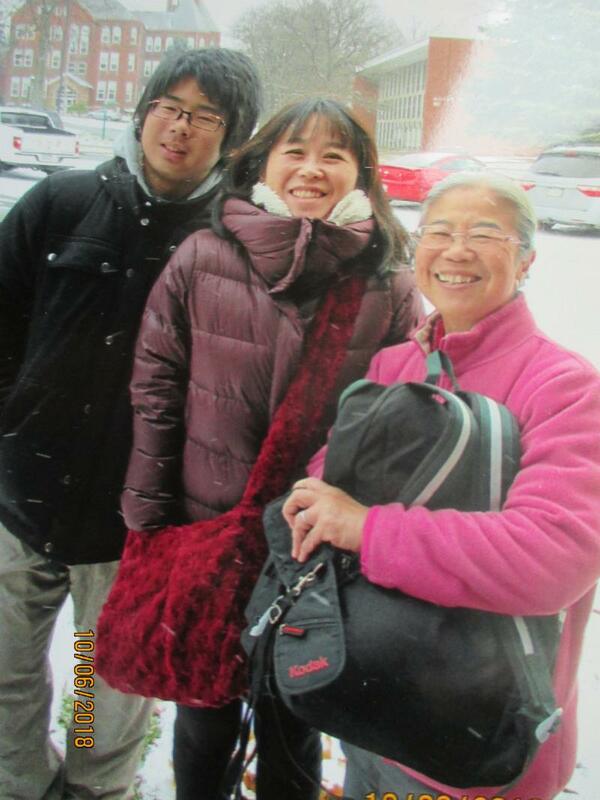 Can you believe that a Muslim student who studied at Slippery Rock University is being influenced by a Japanese Christian family who have been guests at All Saints Lutheran Church and Student Center? Campus ministry is able to provide such wonderful opportunities. Even though we often doubt that God can open doors of faith in the hearts of others, the story of Steve (not his real name) and Kenzaburo from Japan shows what God the Holy Spirit is doing. The Rev. 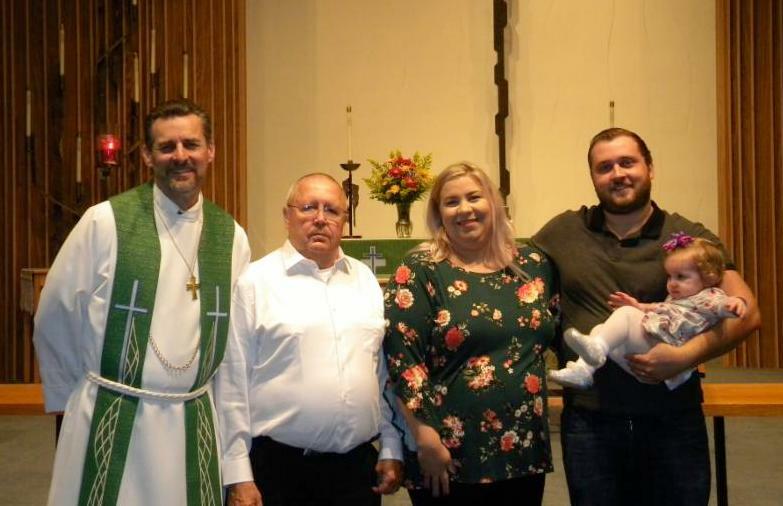 Marcus J. Mackay, Peace, Hastings, NE, has received a call serve as the Senior Pastor of Advent, Zionsville, IN. The Rev. Robert J. Stevens, Mt. Calvary, Gunnison, CO, has accepted the call to serve Crosspoint, Sahuarita, AZ. All youth and leaders from the English District are invited to the district event on Sunday, July 14th . Round trip transportation via buses will be provided from the convention center as we head to Minneapolis Sky Zone—an indoor trampoline park. Once at Sky Zone we will have opportunity for several rounds of ultimate dodge ball (including an adult vs. student round and blacklight). Since we have the full facility other opportunities such as sky climb, warrior course, foam jump, and sky joust are available. All you can drink soda on site and a meal are included. Since there is no mass event on this evening it’s a perfect time to join us. Cost is $40 per person and includes bus transportation, entry to Sky Zone, meal, and a district t-shirt. We encourage all of our English District Church Workers and spouses to participate in this opportunity for advancing church worker family wellness. Please read the following article found in the Reporter. in online wellness focus groups. Last year, nearly 1,000 LCMS church workers and their spouses took part in a Synod-wide survey on church-worker well-being. The survey results both highlighted the wellness needs of workers and their families and led to more questions. If you are an LCMS church worker or church-worker spouse, please consider participating in one of the two-hour, online focus groups . All workers — pastors, teachers, directors of Christian education, musicians and others — are invited, as are their spouses. There is power in prayer. Your prayer concerns are important to the English District. When you submit a prayer request, it will be posted in our weekly eNewsletter, Servant to Servant. The Bible's promise is true: "If we ask anything according to his will, he hears us" (1 John 5:14). Please email Holly Scheer with your prayer requests. 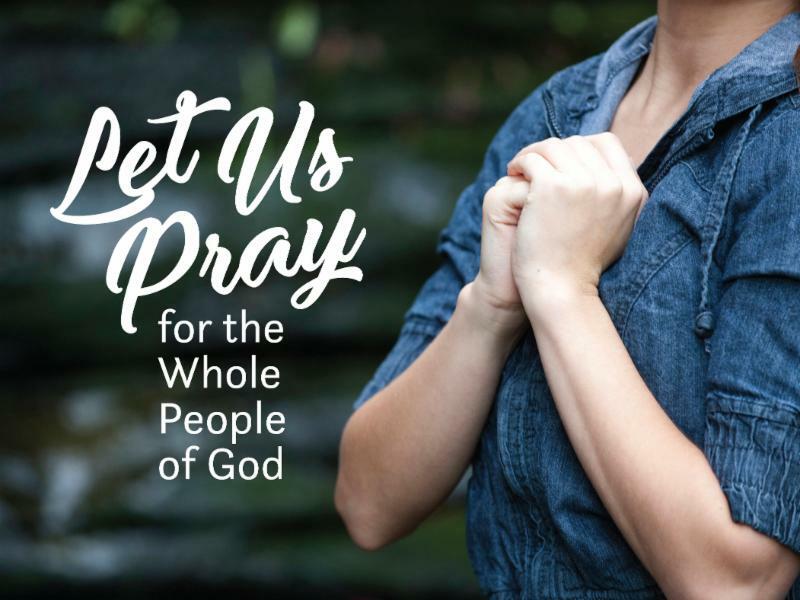 We encourage you to use the District prayer list for your daily prayers, both personal and corporate. Please feel free to publish this list in your weekend service folders, on your congregational website and in your newsletters. Questions? Contact Rev. Derek Mathers or Rev. Justin Laughridge . 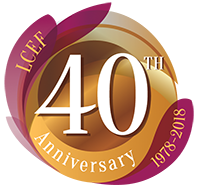 LCEF’s 40 th anniversary special offering has received an overwhelming response. You still have time to take advantage of this special offer of a 40-month note at 4% interest. Please let your members know about this offer by using the bulletin announcement. If you have any questions you can contact David Thiele, LCEF Vice President, at 517-980-2857 or by email ! When you invest with Lutheran Church Extension Fund, you’ll join over 60,000 investors who have discovered the joy of helping and supporting ministry work. New LCMS ministry opportunities are emerging all the time, as many LCMS ministries are thriving around the world. To meet future loan demand and help support growing ministry opportunities, we need to raise an additional $100 million. Which is why we invite you to a special, limited-time investment opportunity: our 40-month 40th anniversary note at 4%. Click to download application , bulletin insert and/or informational flyer . * The primary owner on the account must be 18 years or older. LCEF is a nonprofit religious organization; therefore, LCEF investments are not FDIC-insured bank deposit accounts. This is not an offer to sell investments, nor a solicitation to buy. LCEF will offer and sell its securities only in states where authorized. The offer is made solely by LCEF’s Offering Circular . Investors should carefully read the Offering Circular, which more fully describes associated risks. Lutheran Church Extension Fund—Missouri Synod is registered and licensed through the Nationwide Mortgage Licensing System-NMLS#3444. View Our Public Page. Call 800-843-5233 to learn more or visit LCEF online . 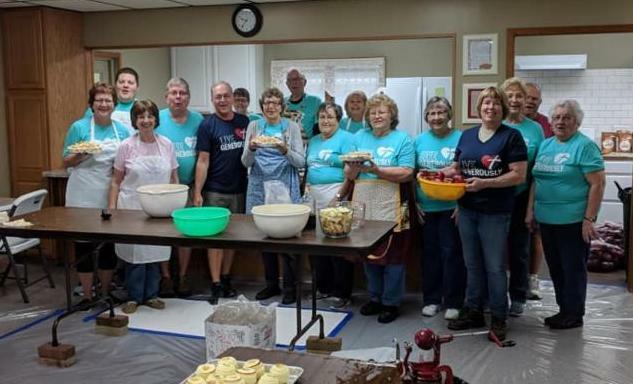 Holy Trinity members wore Thrivent Action Team shirts as they prepared to make 508 apple pies. The money raised will be used to sponsor a Ministerial Assoc. Food Truck, Christmas families, hurricane victims and other worthy causes. 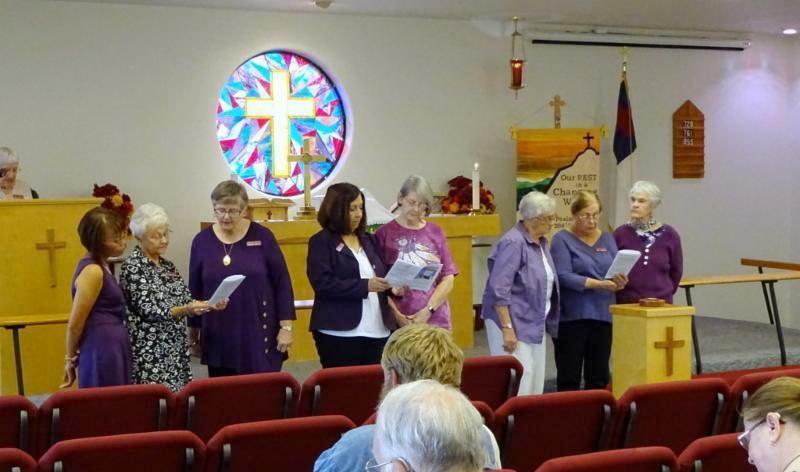 Many women took part in the LWML Sunday service at Peace in the Valley Lutheran Church. The roles of greeters, ushers, acolyte, lay reader, and worship assistants were all filled by women. The congregation, having been forewarned last Sunday, dropped change into the large Mite Box as they came into worship. 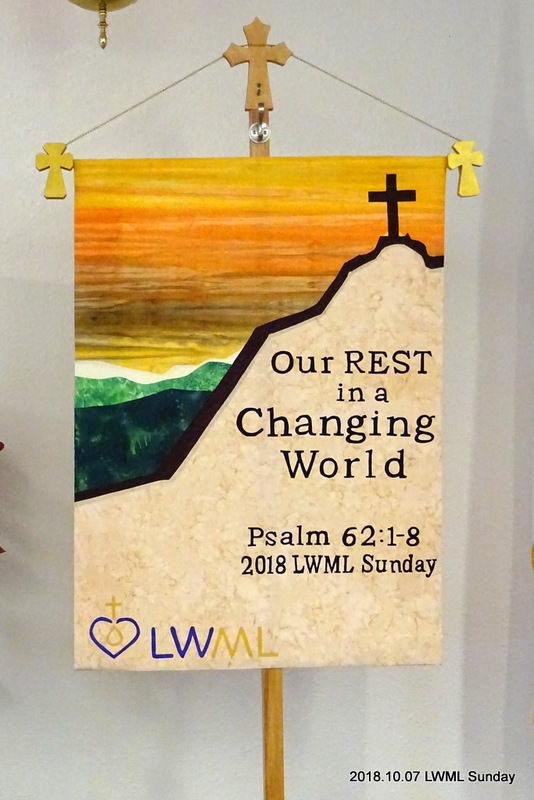 A responsive reading of the LWML Pledge was included in the service, and Pastor York delivered a great message on the theme "Finding Rest in a Changing World." The women received Mustard Seed Devotions as they left the sanctuary and were encouraged to remain involved with LWML in the future. 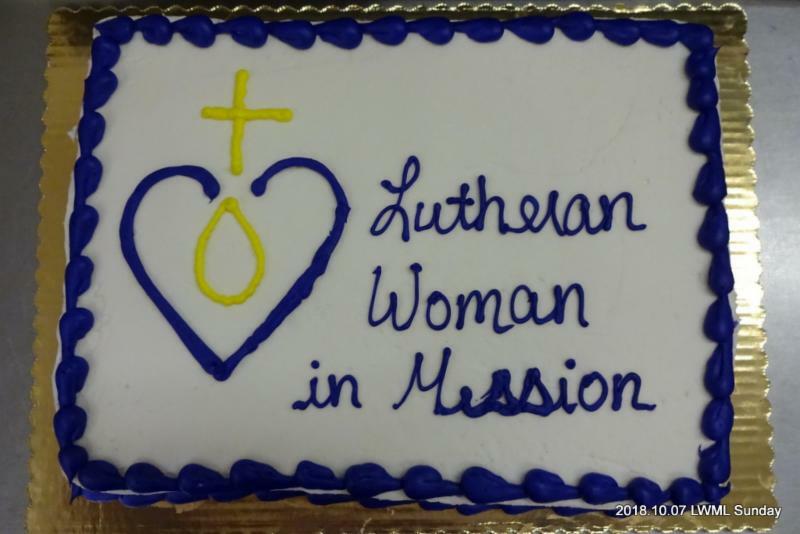 West Portal Lutheran Church and School, San Francisco, CA is celebrating its 75 th anniversary of mission and ministry on October 20 & 21. 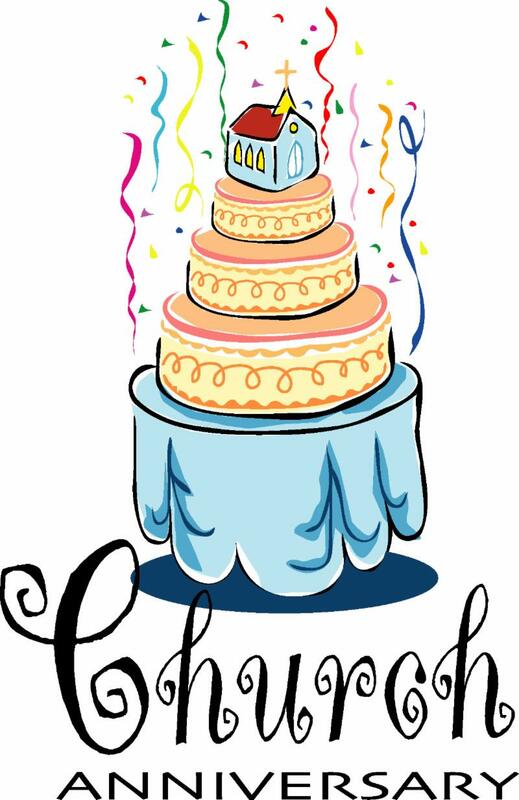 A Celebration Banquet will be held on Saturday evening, October 20 and two Festival Eucharist services on Sunday October 21. Rev. Dr. Peter Nafzger, assistant professor of Practical Theology at Concordia Seminary, St. Louis, will be the guest speaker and preacher for the weekend activities. Call 415-661-0242 or email West Portal for more information. Tyler McMiller and his wife Yanela presented information about the Lutheran Preschool of Licey, Dominican Republic to the Sunday morning Bible class. Tyler was also the guest preacher at the Divine Service. 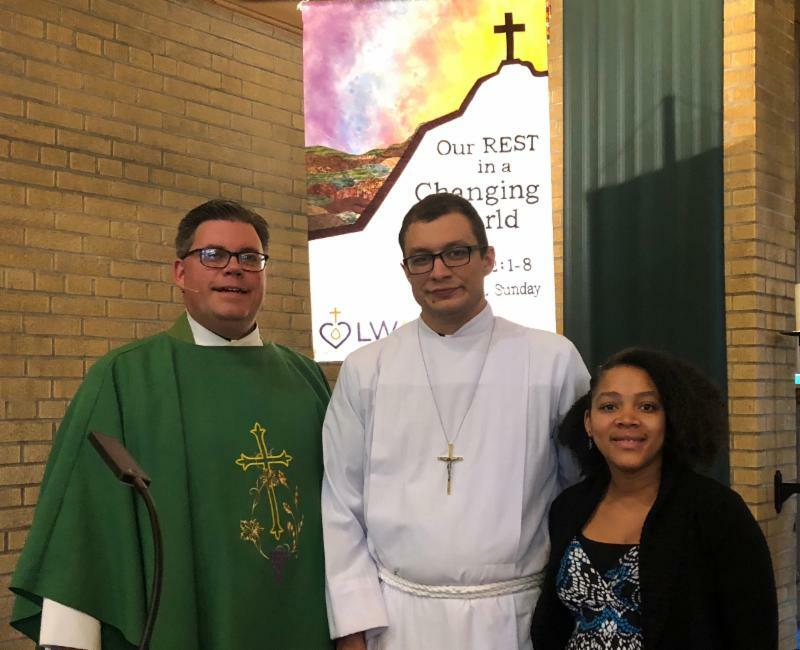 Tyler and Yanela also shared their experiences serving God’s children in the Dominican Republic and Mexico at the LWML English District Greater Detroit Fall Rally that same afternoon at Ascension of Christ. Special Guest Preacher: The Rev. Gregory Seltz, Former Speaker of the Lutheran Hour, and Executive Director of the Lutheran Center for Religious Liberty in Washington, DC. 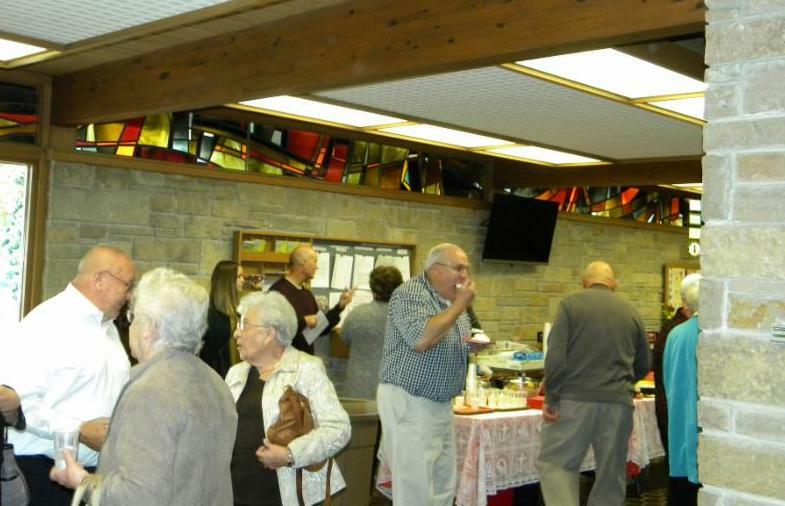 Sponsored by Pittsburgh Area Lutheran Ministries, desserts and hors d'oeuvres sponsored by Concordia Lutheran Ministries. Parking provided by Oakland Catholic High School. 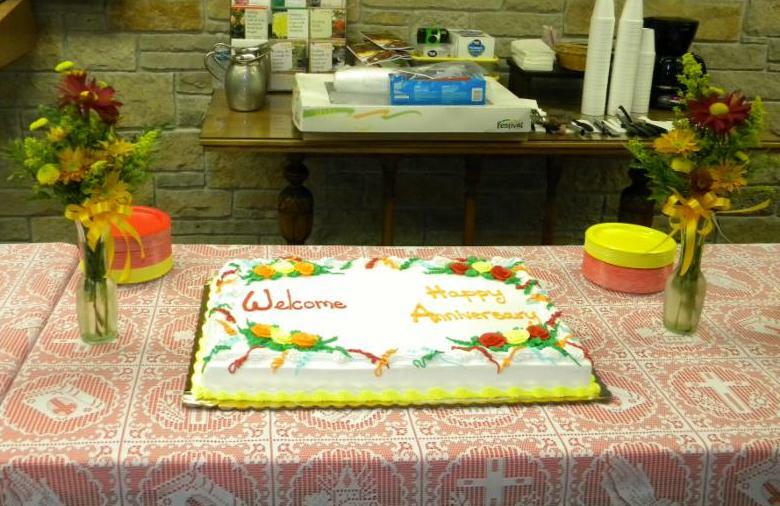 St. Mark celebrated their new members and the 50 th Anniversary of their current church building. On Sunday, October 7th, Rev. 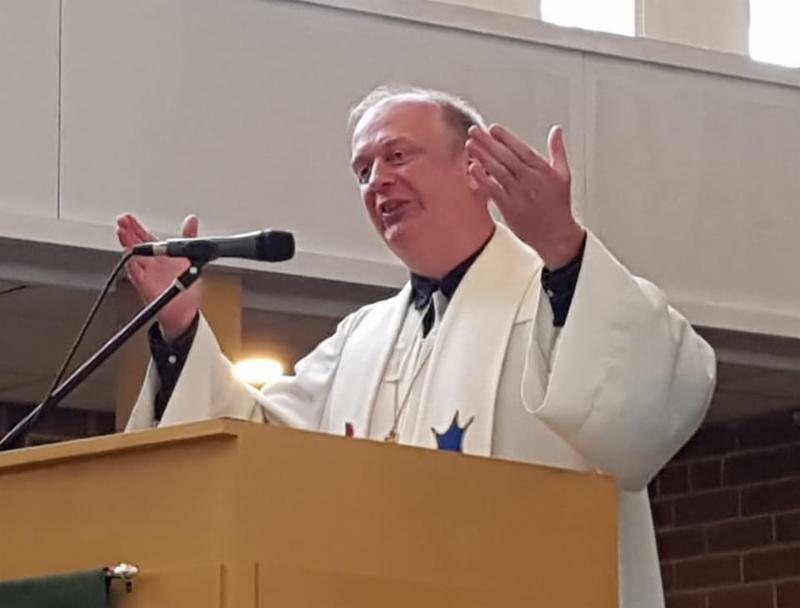 Bishop Jan Hrobon from Slovakia, brought greetings and the Word of God to God's people at St. Luke. Translated by Rev. Dr. Dusan Toth into English, the message focused on God's blessing and provision in faith the size of a mustard seed. It was a morning filled with thanks and praise. 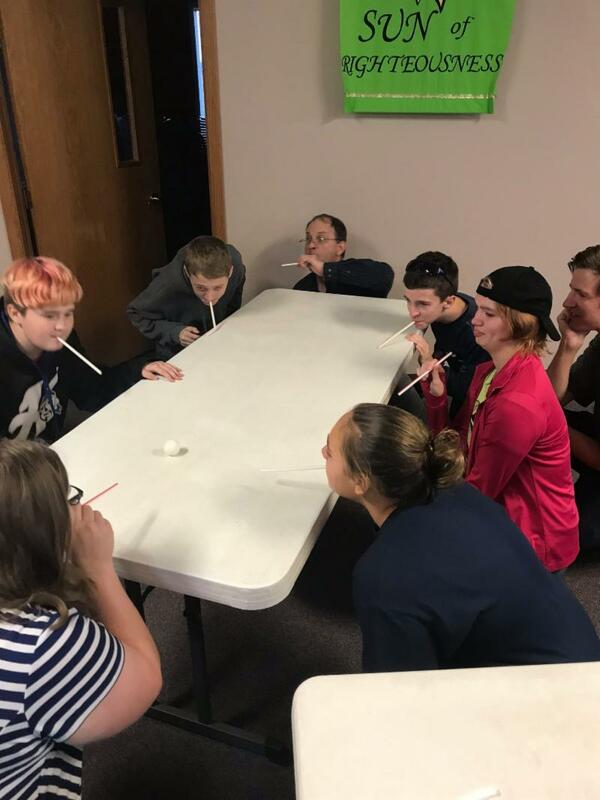 The confirmation class at Hope Lutheran Church has been learning about the Apostles' Creed and this past week learned more about the Holy Spirit and His role in an activity with straws, a ping pong ball and their breath. On September 16, Ascension, North Olmsted, OH had a staff installation for the preschool teachers and assistants as part of their service. Following the service, staff and members of the congregation gathered to have a Prayer Walk through the preschool halls stopping at various locations for specific prayers for that area. Previous issues of the Servant to Servant eNewlsetter are available on the English District website . You are encouraged to share the information from Servant to Servant with members of your congregation. All are invited to subscribe to this weekly publication. Forward the newsletter to members of your church. They can subscribe by clicking on the link at the bottom right titled, "Sign up for our emails." Thanks for spreading the word! Please share your congregation's or school's unique ministries with the rest of the District. 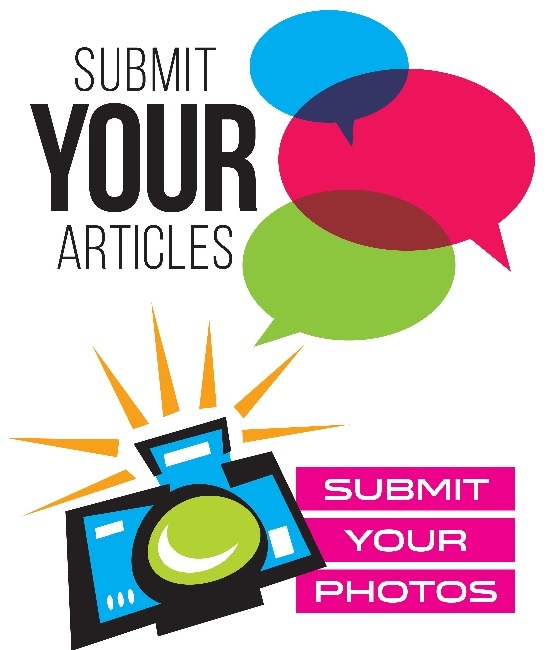 Send pictures and stories for consideration to Holly Scheer by Wednesday, 12:00 pm ET. We want to see how YOUR congregation or school is showing the love of God to those around you. 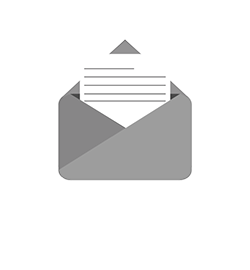 If you'd like to share our emails, please forward using your email's forwarding option.